As any frequent flyer can attest, airplane wine menus used to be rife with mediocrity. 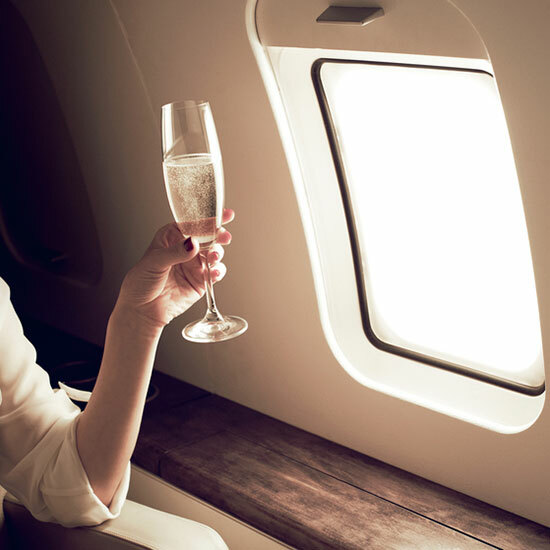 But now, a select few airlines have taken steps toward amping up their wine selection, perhaps in an attempt to bring back the glamor of air travel that's been lost in this era of cramped cabins and excessive baggage fees. We reached out to some globetrotting oenophiles for the best labels to try on three popular domestic airlines. Below, a few suggestions—just in time for your next getaway. Bottoms up! If you're craving something light and refreshing, consider this glass of white. "The crisp taste is great for washing down a handful of salty peanuts," says Fernando Beteta, master sommelier at Chicago's Tenzing Wine and Spirits. Business class flyers have a great beverage selection to choose from, and this bottle of red from Spain is no exception. "The lush fruit flavors pair well with meats," says Jason Wagner, beverage director of N.Y.C. 's Fung Tu restaurant. Carnivores, take note. Searching for a bottle of red to enjoy with your mid-flight snack? The dryness of this wine "perfectly complements cheeses," says Jeff Harding, beverage director of N.Y.C. 's Waverly Inn. And it just so happens that American offers a brie, cheddar, and muenster plate.